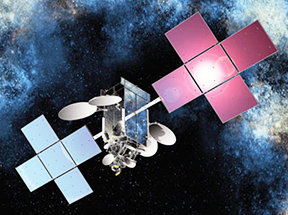 Eutelsat has sold their interest in the EUTELSAT 25B satellite operated at 25.5 degrees East to the co-owner of the satellite, Es’hailSat, for a consideration of 135 million euros. Artistic rendition of the Eutelsat-25B / Es'hailSat-1 satellite. Eutelsat’s share of the satellite generated FY2018 revenues of c.16 million euros in the video application. The divestment of this non-core asset is in line with Eutelsat’s strategy of optimising its portfolio of businesses in the context of its policy of maximizing cash generation. This sale has no impact on Eutelsat’s revenue objectives, which are at constant perimeter and will be absorbed within the Group’s EBITDA margin target. The discretionary free cash flow objective excludes the impact of the disposal.